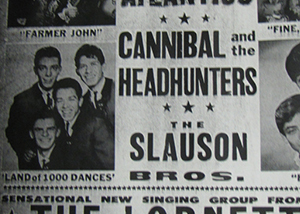 Cannibal and the Headhunters, originating from East Los Angeles, was known for being one of the first Mexican-American groups to have a national hit record, "Land of a Thousand Dances," recorded on the Rampart label. They were also the opening act on the Beatles' second American tour, backed up by the King Curtis Band. They were the discovery of Rampart Records label owner and founder, Eddie Davis, and were part of a collection of Mexican-American musicians and singers in the 1960's, who pioneered the "East Side Sound" music of Los Angeles, a musical phenomenon of the time that attracted international attention. 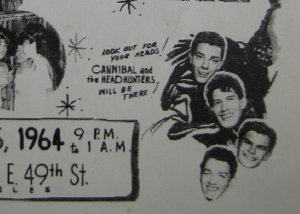 The group was founded by Richard "Scar" Lopez and Robert "Rabbit" Jaramillo in 1964; the other group members were Frankie "Cannibal" Garcia and Joe "Yo Yo" Jaramillo. 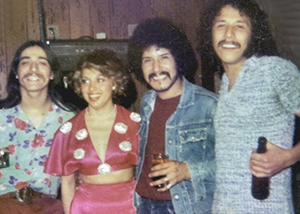 The band was originally called "Bobby and the Classics." 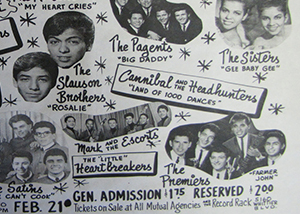 Barely out of high school, they came up from Ramona Gardens and Estrada Courts Housing Projects of East Los Angeles, and were inspired by African American doo wop groups in their neighborhoods. Article from wikipedia. Headhunters and Ersie TOP: Joe "Yoyo" Jaramillo, Frankie "Cannibal" Garcia. CENTER: Bobby "Rabbit" Jaramillo. BOTTOM: Richard "Scar" Lopez. 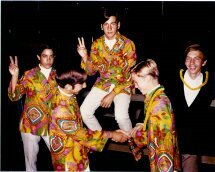 This group toured with "The Beatles" in 1965. 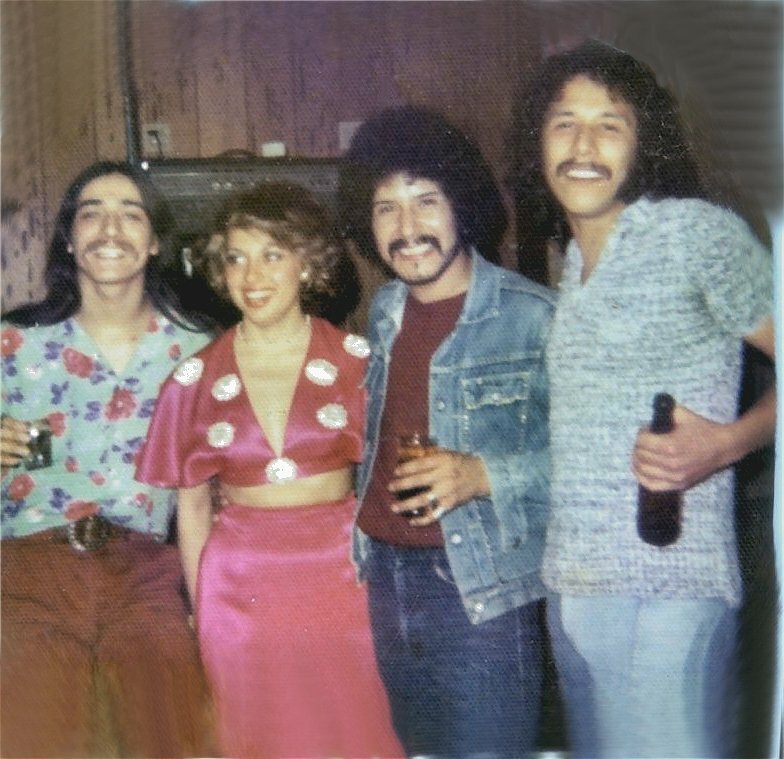 Joey Guerra of JTM played with this group in the 1980s. These guys were originally from the Ramona Gardens Projects in East Los Angeles. 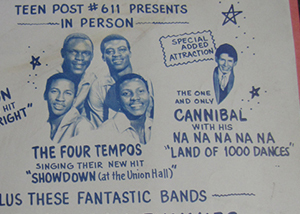 Cannibal and the Headhunters with Marvin Gaye. 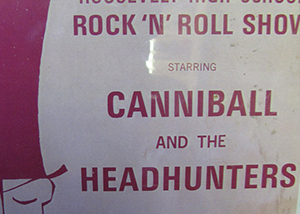 Cannibal and the Headhunters at American Band Stand. "Land of a Thousand Dances" toured as opening act for the Beatles in 1965. Richard Lopez with Paul McCartney. Cannibal and the Headhunters with the Temptations backstage at the Apollo Theater.